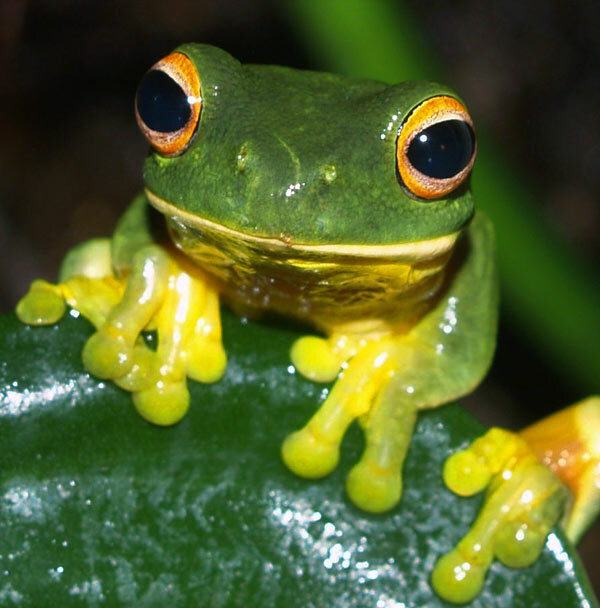 The Orange-thighed Frog (Litoria xanthomera), also known as Orange-thighed Tree Frog is a tree frog endemic to the wet tropics of far north Queensland. 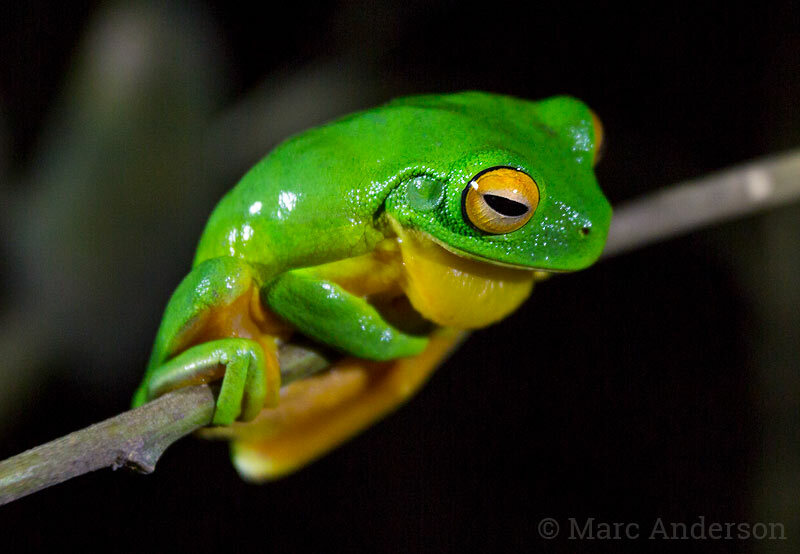 This species is very similar to the Australian Red-eyed Tree Frog (Litoria chloris) which is found further south. Litoria xanthomera can be differentiated visually from L. chloris in having orange eyes and bright-orange thighs. The calls of both of these species are very similar – a series of loud, drawn out moaning ‘waaah’ sounds, often followed by softer trills. Males often call in chorus alongside streams or ponds during the breeding season. BMN3b This sample captures the typical loud chorusing from a number of male frogs calling from vegetation surrounding a small rainforest pool. Moaning-type calls are prominent, with the occasional softer, higher pitched trill heard in the background. The deep ‘wonk’ calls of Northern Barred Frog (Mixophyes schevilli) can also be heard. Recorded in tropical rainforest along Black Mountain Road, Kuranda, Queensland. Orange-thighed Tree Frog (Litoria xanthomera) in rainforest at night, Kuranda National Park, Queensland.